Guide users to a better experience with in-app messages and walkthroughs. “Make yourself at home.” It’s what we tell our guests when we want them to feel comfortable in our space. We say it as a courtesy. But if we really mean it, we’ll add information. We’ll tell our guests that there’s a pool table in the basement, snacks and refreshments out on the island in the kitchen… To immediately feel at home in new environments, most of us need to find our bearings first, to be shown around the place. The same holds true for web-based applications, where invitations to make ourselves at home are pretty lackluster across the board. To be fair, a lot of energy is devoted to creating intuitive user experiences, but this isn’t the same as being shown around. Appcues can drive your audience to new features, give users guided product tours, deliver each user a more personalized onboarding experience – without any coding. Automated help prompts have grown fashionable, but a better way to avoid user dissatisfaction is to answer questions before they need to be asked. And it’s much easier to steer attention in app than, say, through an email announcement. Citing HubSpot as a client example, an in-app message from Appcues resulted in 171% more HubSpot customers upgrading to a new CMS, after a year of dismal results with emails. If you’re worried about unprompted messages annoying users or appearing spammy, Appcues allows you to target your audience. You can create triggers based on specific actions, establishing a more personal context for messages. Click here for more details about additional capabilities that come with different Appcues subscription plans. Besides showing customers extra TLC, app owners benefit from Appcues by being able to reach their audience and improve their app quickly without the need for engineers. Available as a Chrome extension, you can build workflows without waiting for help. You can push the adoption of new features, conduct A/B testing, and make adjustments without calling on a developer. You have greater flexibility to communicate with customers and the freedom to both experiment and iterate faster. If you need extra help, the creators of Appcues have put together The User Onboarding Academy on their website, a collection of information and advice that equips you with all you need to know about user onboarding. It’s dangerous to presume that users will discover the maximum value of your app on their own. Guide them, engage them. 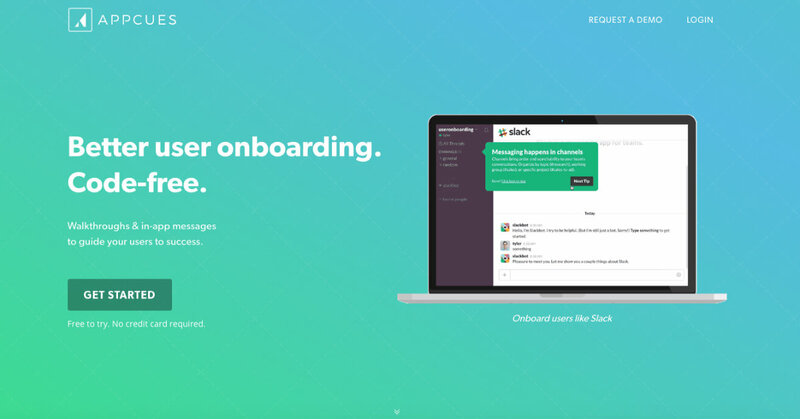 To learn more about how Appcues can help better control the onboarding experience, visit their website here.